ACT!’s Brigitte Gabriel ~ Leeching off the Hard Work of Others! 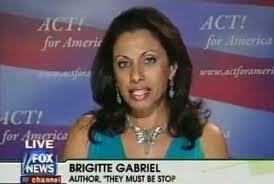 Do you remember when I said that ACT!’s Brigitte Gabriel was $elling America a bridge to nowhere? Well now the Queen of False Hope who lied about Zuhdi Jasser, when she said he truly represents Muslims in America has stooped even lower! As she is now asking for donations on the back of the hard work for others. One being Mr. Tom Trento of the United West. Check out the following email…. The purpose of this message is to announce the new iGive Program, which is a cost free way to support ACT! for America. First, however, we would like to take a moment to provide you with the next five (5) meeting dates for the Katy Chapter of ACT! for America. Those dates are Tuesday, December 18, 2012; Tuesday, January 29, 2013; Tuesday, February 26, 2013; Tuesday, March 26, 2013; and Tuesday, April 30, 2013. The meeting place and starting times will remain the same as throughout 2012. Details regarding each of the meetings will be provided as the meeting dates grow closer. Now, on to the iGive Program. The five minute video below, produced by the organization The United West, provides glimpses into what happened at the 2012 Muslim Day Parade in New York City. Near the end of the video is an image from the parade program showing a jihad flag flying over the White House. This is the goal of radical Islam in America. This is what we are fighting. You can help us be better equipped in this fight by signing up for iGive. In just the past nine days, over $400 has been donated to ACT! for America from the iGive program­ at no cost to ACT! for America supporters. All you have to do is sign up, download the iGive button, and shop online at the more than 1,000 participating companies. With every purchase you make, a percentage of the purchase price is donated to ACT! for America. Its a great way to help ACT! for America this holiday season ­and all year round. (Note: If you make purchases from Amazon, read the special instructions). Help us fight the evil that wants to subjugate our nation to radical Islam and sharia law. When everyone of us does a little, together we accomplish a lot! What the heck does Trento’s video have to do with Gabriel?! That email would be the equivalent of me promoting what Pamela Geller has accomplished, and asking for donations on the back of her hard work. Shameful! To add insult to injury Gabriel does not explain how she is fighting, nor does she supply any real long term answers to the threat of radical Islam….errr…..Islam. ← NY: Enemy Picture of the day…. Hanan Qahwaji Tudor–the real name for Brigitte Gabriel (she has several aliases)–is a con artist whose entire story is a fraud. She merely seeks money from gullible Jews and Christians and she began doing this b/c her husband’s video business was failing and she needed cash. Do you know if she’s actually a mussie too? You know how I feel. I approached her with legitimate concerns and she just blew me off with her arrogance. No wonder she employs jackasses like Chris Slick. She wants us to believe that somewhere in all this Islamic filth there’s a good Islam we need to coddle and help grow within our borders. What about Muhammad and his sock puppet Allah being bat-sh!t evil doesn’t she get. Allah wants me personally dead, and burning in Hell for all time. He wants my family and friends dead, and burning in Hell for all time. What about that doesn’t Gabriel get. She’s helping Islam to conquer America. She’s no good. I shot and edited the NY Muslim Day Parade Video and let me make this perfectly clear; The United West and Tom Trento in particular, have a strong positive working relationship with the ACT leadership and their chapter leaders. Our two groups join forces and manpower on special projects all across the country. For the record, The United West (TUW) team was thrilled to see ACT For America use our video and push it out to their membership and followers of the ACT email alerts. Guy Rogers gave TUW proper recognition for the video and we thank him for that. As a result, the video got an added boost in viewers and was somewhere around 138,000 You Tube hits last I checked. It is this type of synergy between groups in the Anti-Jihad, Pro Constitution, Freedom, and Liberty movement that makes us stronger and more effective in confronting and exposing our Islamist, Communist, and Marxist adversaries. At the end of the day Chris, exposing our adversaries and helping our friends will make for a stronger more secure America. I can only speak for myself and The United West team when I say that a stronger more secure America is what motivates us to get up everyday and fight this fight. I’ve been a follower of your work Chris and I feel safe in saying that love of country is as important to you as to me. The video has everything to do with Brigitte Gabriel, Tom Trento, Logans Warning, and all the other groups and individuals who are working for a common purpose. That common purpose is to educate America about the threat of Shariah Compliant Political Islam here in America and around the world. Our work is out there in the public domain for all to use. All we ask for is a hat tip or a thank you just like Guy Rodgers did with our 2012 NYC Muslim Day Parade video. 1. Please don’t spin this. Normally organizations do not ask for donations using the work of OTHERS. 2. I was told a completely different story this afternoon. 3. Gabriel is not making America safer, she is a liar who is blatantly misleading Americans into believe that “moderate” Muslims are coming to the rescue. They are not. She is doing more harm than good, and I will continue to expose anyone who has a major following who promotes Jasser. 4. Since you know her and think she is so right, why don’t you tell her to debate me on your radio show? I’ll will gladly debate her and the two wanna-be goons, Kelly Cook, and Guy Rodgers at the same time. They run from me because they are full of it. Islam is the problem, and she does not say that. That is not educating. How much longer shall all these frauds who promote Jasser continue to educate without supplying answers? Their watch has been a huge failure, and people are getting sick of it. My team does not mislead America. Islamist? Was Mohammad an Islamist or a Muslim? Is the Koran the book of Islam or Islamism? Going down the PC road is suicidal. I could care less if ACT or any other group uses our work as long we TUW gets a mention – which we did. The fact ACT used my video in a fundraising email does not bother me in the least. The added exposure may have even drawn a few donors to the TUW website and helped Tom out. I refuse to get into the middle of your battles – I’ve said my peace and that’s that for whatever it’s worth. Your last reply I viewed as some kind of unprovoked personal attack. If I misunderstood your intent I apologize – but if you want to go a few rounds you have my email address contact me. Hey Alan, Here’s where I have a problem with what you’re saying and I imagine you’ve already got this sussed about my message but I gotta say it anyway. You state that our common purpose is to educate America about “the threat of Shariah Compliant Political Islam”. 2 things wrong with this as I see it. First, it suggests that there’s an Islam that has nothing to do with politics or Sharia. Second, anyone fighting against the spread of Islam agrees with the comment. I don’t accept a political free, Sharia free Islam. A “Shariah Compliant Political Islam” doesn’t actually exist anymore than a “Moderate Islam” exists. I’ve been trying to educate people about Islam. A political free, Sharia free Islam (meaning a good Islam) is a pleasant thought but it keeps us from facing up to the hard truth that Islam itself is not good at all. For instance if someone has cancer, you cannot claim he’s a healthy person because his eyesight and sense of smell work perfectly. If we can’t address this head on and call out Islam for what it is then all we’re doing is slowing down our own demise. Hello Tommy: You’re 100% spot on, I have been warning people about the dangers concerning this Fascist, Highly Political Ideology called Islam since January of 2000. It’s astounding to me that some people such as Geller and her followers believe they can win the war between Muslims and non-Muslims by sucking up to other Muslims such as Jasser believing he is one of a peaceful majority that doesn’t and has never existed and some of her fans are actually calling Jasser a “Useful Idiot” l can assure them Jasser thinks of them as “Useful Idiots” and he’s correct; how do I know? I know enough about this evil religion and it’s almost 1400 year history to be on a PHD level. I have to believe Geller is a cunning enemy, rather than a stupid patriot, but either way she is abetting a deadly enemy of our Constitutional Republic. My first and only post wasn’t published, maybe because this article is years old. I was posting on Robert Spencer’s site but cant for whatever reason. Maybe he’s a Geller, all I know is one cant fight this war by concessions, if we do this enemy of a free America will keep growing stronger while America grows weaker, till some day the SO-called Moderates will rule from Washington using Sharia Law, I know some Iranians who found this out the hard way, they were too trusting, those Muslims were good people, practicing a religion of peace, peaceful till they had enough power to take over the Iranian government that is. Will you promote our last video from Dearborn. You will get an Assault and Battery, the trial a year later with Judge Somers, and Tom on the Michael Coren Show discussing Dearborn as an emerging no-go zone with the escalating violence in 2012. A lot of time, work, and precious resources went into this effort. Sure thing, I will take care of it some time later today. We got one lobbyist in the Congress while the Sowdies have 100 of them. That is what this donation gets us and with Chapters across America educating and doing things (depending on the ‘gung ho’ attitude of chapter leaders) that is what is being done in Act for America. To denigrate our own is like infighting and that gets us nowhere. What is your point? That you do more? That you ‘rally the troops’ to do something in our communities? That is what AFA is doing while Logan, you are more of a news source and a blog. You educate too but do you have a lobbyist – and trying to get more of them? Please do not denigrate our own – use them. And the best way I can put moslems like Jassar – they are OUR useful idiots. To take all moslems and denigrate them will just get us into the area of not getting anything done. Many of our chapter leaders have had problems with accepting Jassar, and that includes me since I have heard Jassar speak and he is as much an ignoramous for islam than the Muslim Brotherhood since he espouses the same fairy tales be taught to our children, that he says the koran is the true word of ‘god’. And when the moslems enterchange the words ‘god’ and ‘allah’ that is the same B.S. that the MB uses to try to trick non-moslems. BUT we need useful idiots too. Jassar would be killed as an apostate in his islamic lands and he is as ineffective as all get out. But I had to realize that to isolate all moslems puts us into a group of radicals that is ineffective in getting our messages across. I know you will rebuttle and the quick response will be to back up your position. I hope you will think about this later. The point is that Gabriel is misleading America. She has no real long term answers, and ACT!even supports Muslim immigration. How ridiculous. As for Jasser, in the end he protects Islam, and helps have Mosques be built here. Adding more Islam to the equation does not help. It is truly amazing how long so many people will continue to support failed policies. If her policies were truthful and working she wouldn’t block those who question her on FB. The woman is a fraud living high on the hard work of the foot soldiers of ACT! No offense R_not, but if you think you are going to separate the “good” Muslims from the bad, you are greatly mistaken. The bottom line with Muslim immigration is trouble, and I am really surprised that you have bought into the failed PC policies of the upper echelon of ACT! Their policies will NEVER win this war. We don’t need useful idiots R. That’s the method used by the enemy – deception. What we need is the truth. Our message should be the truth not deception. Only the truth will destroy Islam. Exactly….I do not need that fraud Jasser trying to tell me what Islam his. He knows I would wipe the floor with him in a debate, so he runs…. ‘I’ am not going to do anything. But I again ask, what is your point? You have nothing. There is no movement to take islam out of the category of religion by any of you. You have no lobbyists to do that or to stop immigration. You have nothing while AFA has at least us at our levels. We have done more to stop sharia, to try to get a foot in the door of these interfaith dialogs and prove they are a failure and to educate our own leaders that they need to read and stop enabling moslems (stop being useful idiots). Instead you attack those who are with you. So, I am asking once again and I will comment no more – what is your point?! I have long term answers, she does not. I do not LIE to America about some form of “moderates” coming to the rescue. I do NOT gamble America away on the fantasy that some form of Islam will evolve that can co-exist with are way of life. The past decade of her, Pipes, and Gaffney has been a huge failure. They are leading America down the road to an Islamic take over. I have to wonder about the motives of Americans who deceive America about the true nature of Islam. Why aren’t we simply stating the truth. Why aren’t we working from a truthful base. We all know Islam cannot co-exist with freedom. We know this. So why are we pretending it can? What are we afraid of? I highly doubt she has answers to your questions brother. Her and many others are living in a fantasy land. Let’s not mince words here Christopher. In my personal experience she is an unmitigated hustler and a marketing fraud. I was personally involved with her after an introduction from a very close Coptic Christian friend. I asked her to visit my Website, DangersofAllah. I told her my plan was to make it a repository of sources that people could go to by clicking on images on the side board that at the time were replete with her books, and links to ACT. Her response….How does that help me? You are competing with me? I asked how could that be? Don’t we have the same objective of getting the word out? I asked if she just put a link to Dangers of Allah on her ACT site. She replied, “You don’t get it,” I replied perhaps I don’t but I clearly get you. Personally, I think you all waste your time ‘fighting’ those who are with you in this overall problem we have. And as far as ‘competing’ with anyone – I don’t know how you really put it to her and how the whole conversation went. We are getting your side of things. She might have meant that you are just duplicating what she has. Or who knows – she is not a native speaking English person so I usually don’t judge 2nd hand stories. What we have in AFA is a lobbyist, chapters not only in the USA but internationally, information on what to do, etc. We have guidance and support from other chapters from all over. What do you have? A blog, and a nasty message. I have not heard that type of venom coming from her or her group. I think you all need to learn how to work together instead of trying to set yourself as the exclusive ‘kings’. 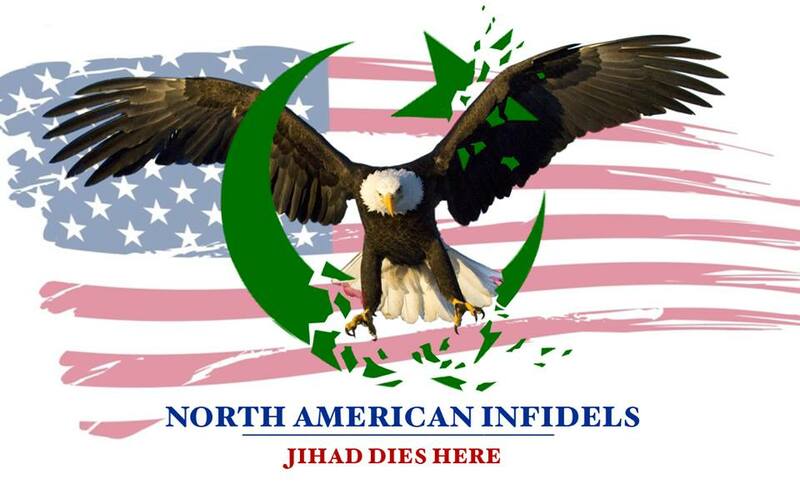 What I have is a growing team that is sick of the delusional Zuhdi Jasser is going to say the day message. It is suicidal. Pamela Geller: I have long derided the “moderate Islam” meme as a theory with no basis in reality or history. It’s wishful thinking, dangerous, and suicidal. Like I said,…if her message is truthful and working, why does she duck those who question her? The one hand is giving while the other is taking away. ACT’s approach is ultimately self defeating. I pointed this out to Ms Gabriel and she just blew me off as if I was an insect. And I was an ACT chapter leader. Muslims are ‘moderate’, peaceful and friendly to the infidels until their numbers are high enough for them to show their strength and true objectives. Violence follows and Muslims take over the area they have targeted. It is EVERY Muslim’s duty to go on jihad to convert the world to backward Islam. A quote from an excellent book ‘Islam: Evil in the name of God’. “Moderates” pave the way for Islam to make inroads in our countries.